"Born in the late seventh century monk Shantideva was an Indian Buddhist philosopher of the famous University of Nalanda. 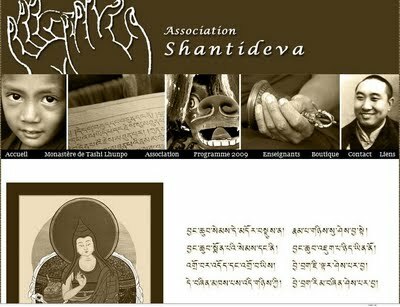 Praised throughout the Buddhist world for his writings on the Bodhisattva path and philosophy of the Madhyamika, Shantideva remains one of the authors most read and discussed today. Beyond the qualities of scholarship and poetic power of his work, Shantideva urges all people to pursue the path of wisdom and compassion." 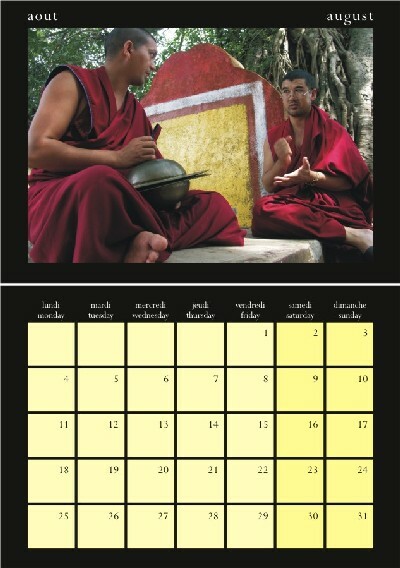 Continuing its long term association with the monastery of Tashi Lhumpo in Bylakuppe in Karnataka state, The Blue Yonder is supporting the initiative of several volunteers and supporters to set up 'Shanti Deva' - an association to preserve and promote cultural and spiritual heritage of the Tibetan monastery of Tashi Lhunpo restored in southern India in 1972. Besides learning of Tibetan language and Buddhist studies, it allows its members to frequent visits to the monastery of Tashi Lhunpo, as well as the discovery of the Himalayan regions of Ladakh, Zanskar, Spiti, Lahul, Sikkim and Tawang through cultural travel.